The entire opposition agreed that there should be a consensus candidate, although no names were discussed at the meeting. Monsoon session in the parliament begins on July 18. 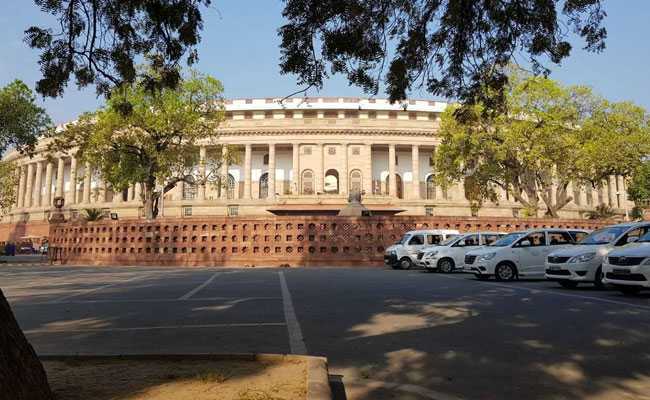 Ahead of parliament's monsoon session, a gathering of 14 opposition parties this evening decided to field a candidate for the post of the Rajya Sabha deputy chairman and support a no-confidence move against the government, they however had issues with bringing a no confidence motion of the ruling Telugu Desam Party of Andhra Pradesh. Chandrababu Naidu's party wrote to opposition leaders last week seeking support for its demand for special category status for the state. But the second half of the budget session was hugely disrupted due to moves to bring four no confidence motions, which could not make any progress following constant protests by the AIADMK and the Telangana Rashtra Samithi. "The opposition parties present at today's meeting decided with consensus that they want the Parliament to function," Leader of the Opposition Ghulam Nabi Azad said after the meeting. If after this, there are disturbances, then the government will be responsible for it, not the opposition, he told reporters. Election for the post of deputy chairperson of the Rajya Sabha is seen as one more test of the opposition's ability to unite and take on the BJP ahead of next year's national elections. The Congress' PJ Kurien was Deputy Chairperson since 2012. The post fell vacant after he retired on July 1. An election for the post took place last in 1992. Twenty-six years on, a contest seems likely again with the BJP not ready to allow a candidate from the united opposition, even though the numbers are stacked against the ruling alliance. With 51 seats in the 245-member Rajya Sabha, the Congress would have been a natural claimant for the post. But given the urgency to stitch up a united opposition to face the BJP in next year's general elections, the party has been cautious. Last month, sources said the party was willing to back Sukhendu Shekhar Roy of Trinamool Congress, whose name was doing the rounds as a possible candidate. Mr Roy, who was present at today's meeting, however, said the Trinamool will not put up any candidate and is ready to support any consensus candidate from the opposition. Leaders from the Congress, the Samajwadi Party and the TMC, which are the largest opposition parties in the Rajya Sabha, should sit together and find a "suitable candidate", they said. For a candidate from the ruling coalition, the name of Akali Dal leader Naresh Gujral is doing the rounds. In the strategy session, the opposition leaders also discussed the issues they want to raise in parliament - the list included cases of mob lynching, atrocities on Dalits and women, rising unemployment, woes of farmers and backwards, and reservation in higher education institutions.